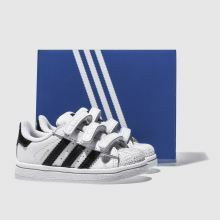 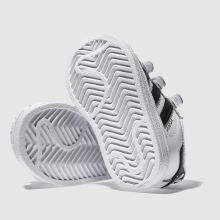 Get your little one decked out in trainers as slick as your own with the adidas Superstar Foundation. 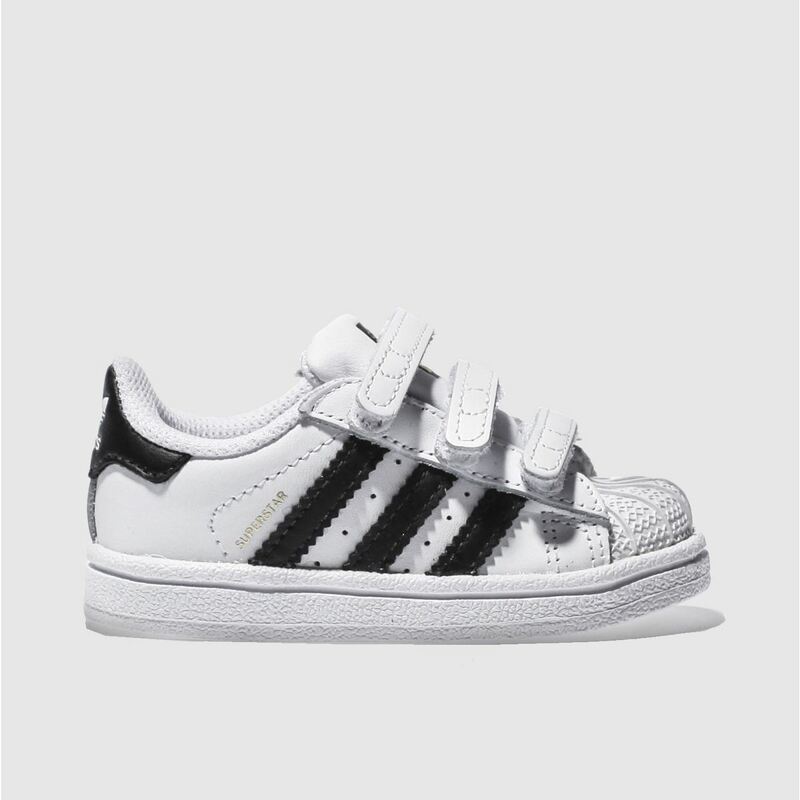 The iconic style is dressed in a white leather upper, with black 3-Stripe and gold foil branding featuring. 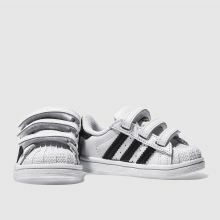 A shell-toe finishes the kids style nicely.